Building make-believe villages and ships with Lego blocks is child’s play for Alabama-based photographer Cary Norton — he recently completed a working 127mm f4.7 camera made entirely from everyone’s favorite colorful bricks! 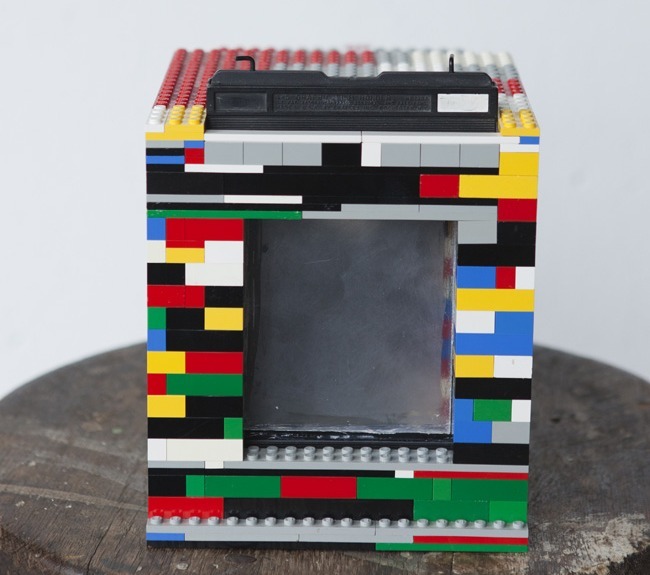 The “Legotron, Mark I” is roughly 7″ x 6.5″ x 7″ and has a focus range of about 18 inches to 3 feet. The camera’s a bit big to take with you during a night out on the town, but with help from Lego’s Digital Designer application Cary has already started brainstorming new designs. Just be sure not to drop it! The main parts are a Main box, internal box, film holder/ground glass slot, lens board, lens. The lens is a 127mm ƒ4.7, and the lens board is two Plates deep and fits perfectly in the slot I built for it (though, I cut it down to one plate in the center to actually mount the lens). Focus is achieved by sliding the internal box forward and backward. […] The ground glass is just plexi, sanded with various fine grits. It’s held in place by a film holder that previously had light leaks, but now has the aluminum center cut out. The fit is tight and I ran a line of liquid nails too, just in case. 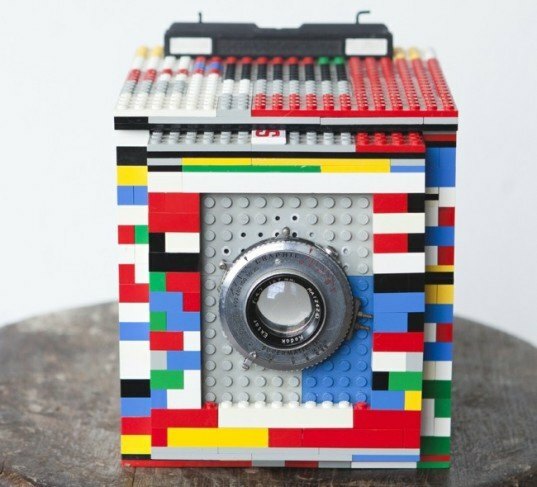 We’ve seen Lego bricks used to repair city walls and stylize stilettos, but Norton’s working Lego camera might just take the cake for our favorite Lego invention. Building make-believe villages and ships with Lego blocks is child's play for Alabama-based photographer Cary Norton -- he recently completed a working 127mm f4.7 camera made entirely from everyone's favorite colorful bricks! The "Legotron, Mark I" is roughly 7" x 6.5" x 7" and has a focus range of about 18 inches to 3 feet. The camera's a bit big to take with you during a night out on the town, but with help from Lego's Digital Designer application Cary has already started brainstorming new designs. Just be sure not to drop it!